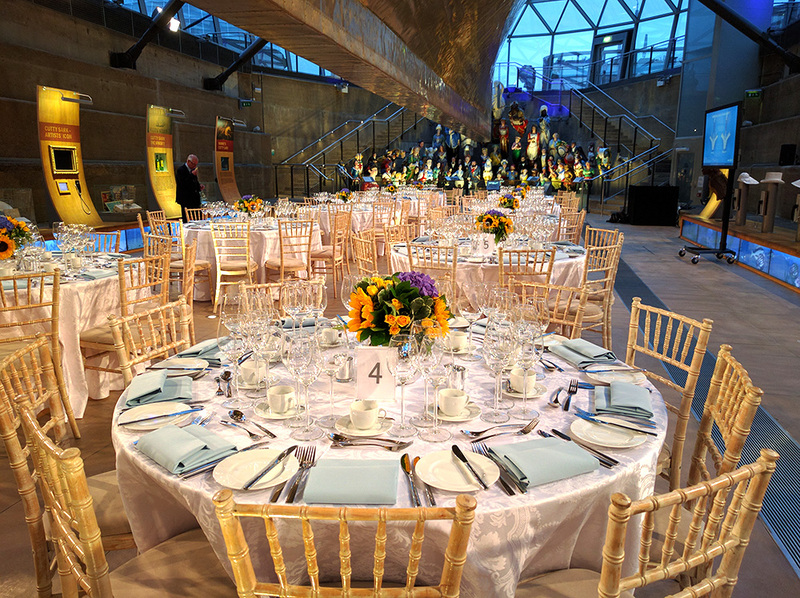 Cutty Sark is one of the world’s most famous ships and is the last surviving tea clipper, the fastest and greatest of her time. 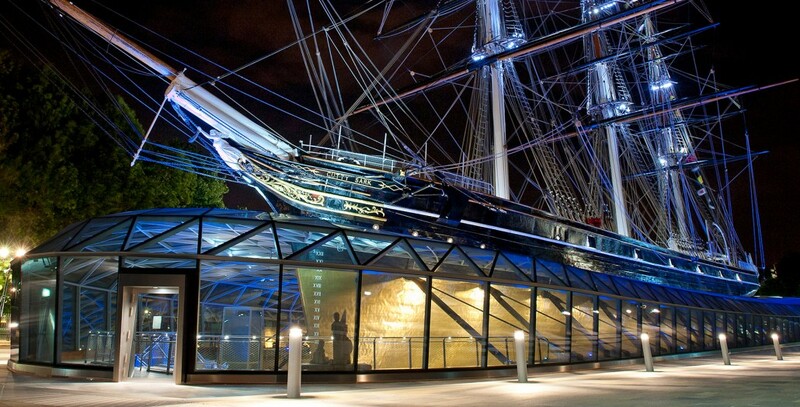 She stands as a glorious monument to the age of sail and to all those who lost their lives in the merchant service. Situated on the shore of the mighty Thames River the ship provides commanding views over Canary Wharf and the City of London. 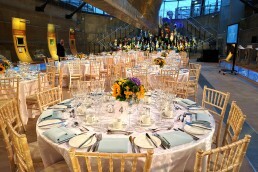 The Dry Berth is the largest and most versatile entertaining space at Cutty Sark. 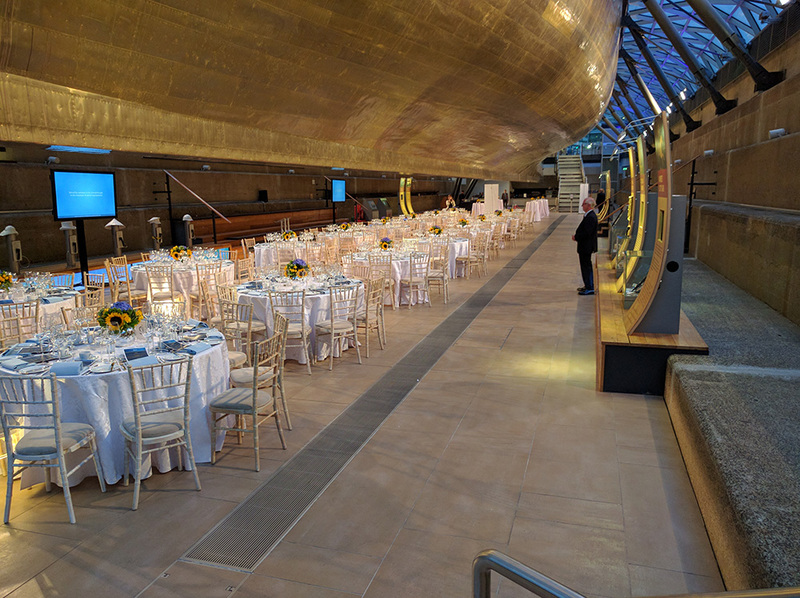 There are great opportunities to design your event beneath the gleaming copper hull, perfect for gala dinners, awards ceremonies, unique events and receptions. The Master’s Saloon is a luxurious part of the ship with mahogany panelling and the captain’s table, originally used for studying maps and entertaining while at port. 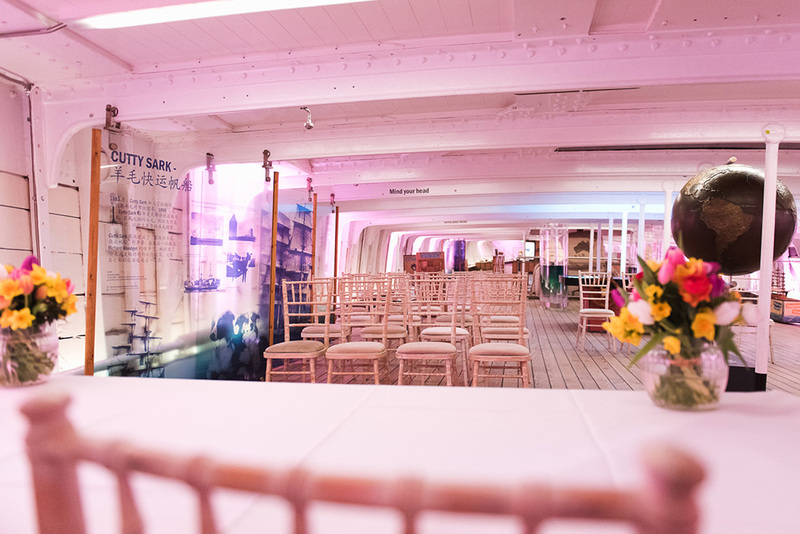 Perfect for VIP and intimate Dinners, guests will enjoy an authentic maritime experience. 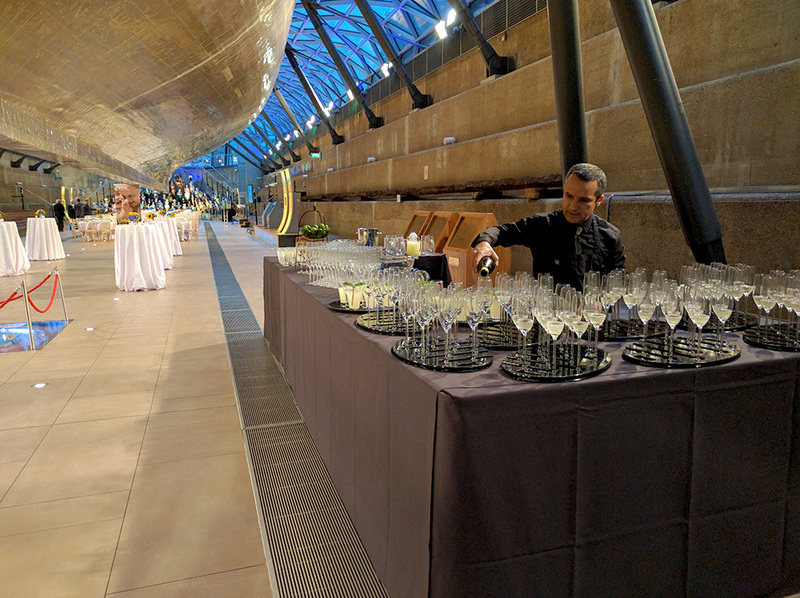 With all three hire options of Cutty Sark, the ship will be open for guests to explore during the first hour of the event. Should the weather permit there is then also the opportunity to enjoy drinks on the weather deck to take in the spectacular views of Canary Wharf. 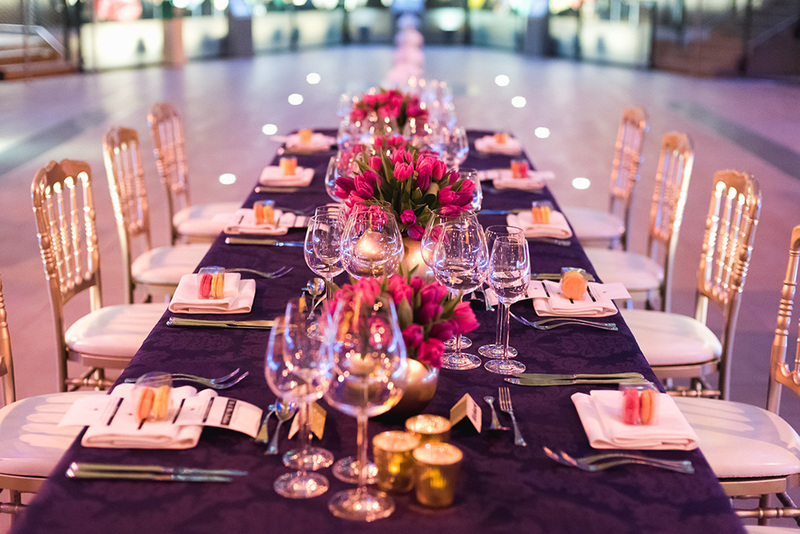 Read about our amazing Winter Wedding offer!